got in a knife fight with some Greasers in Seaside, is your sister home?” I think I just stood there. My sister walked up behind me. They came in. The next thing I remember we were in the bathroom, the light was bright and the blood was red. It seemed like it was getting all over. My sister was tending these guy’s wounds real gently and she was so beautiful, we all just looked at her. She liked these guys. They were talking and even laughing. I don’t remember anything else about that night except that beautiful girls liked tough wild guys. They must have known my dad was gone. I wonder today if they cut and beat each other up just to impress and see my sister. I’m not kidding, she was a beauty and she wasn’t the least bit afraid. Then I remember a big party in our house. My parents were gone again. My sister had my Dad’s big Telefunken Stereo turned up real loud playing her cool records, the Doors, Iron Butterfly, Quick Silver Messenger Service. I used to try and play her folk guitar along with them. There were more choppers outside and those guys were back and a whole bunch of people with interesting waists. I put on my brothers Richard Nixon mask and started introducing myself. I put my hand up and said, “Hi, my name is Joe Schlabatkin.” Who the hell he was I have no idea, but I remember getting a real nice response and even some introductions. I always wanted to be tough, but I never wanted to be mean. I kissed Kristin Nale when I was 9, it lasted a split second and a lifetime. Then we moved to Singapore, I turned 12. All the kids were ex-pats and it was kind of like Lord of the Flies, we all said no kids did this stuff where we came from. Girls were the sources of this incredible energy. They were so beautiful, so soft, so alive, so amazing and they smelled so good. There was this blond Swedish girl, Katia. I sat behind her in the last row in English class. I would unzip the back of her uniform and slip my hand into her dress and she would squirm. We couldn’t wait for English class. I felt no guilt around any of this and it was kind of, inspiring. 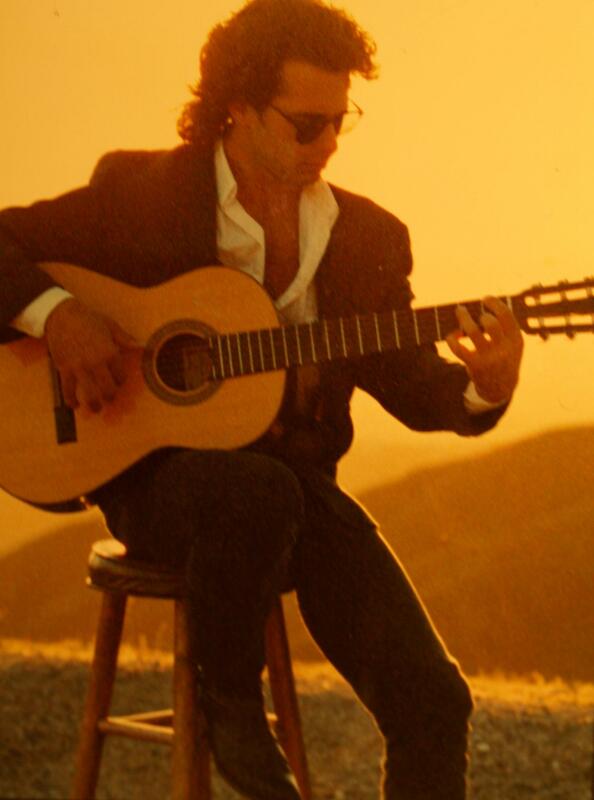 I began to seriously study the Spanish or ‘Classical’ guitar when I was ten and I wanted to express beauty and passion on it like Andres Segovia. I didn’t need words or want them. There was something about the whole thing that was much like the girls, like the energy and beauty I felt from them. I must have been about six when I remember crawling on my hands and knees in the chaparral that bordered our property. Sunlight flickered through the bushes and was warm, it smelled good and was almost vibrating. I felt like I was doing something dangerous, like an Indian, and I wanted to be one. There were these beautiful mysterious sounding voices singing, everything was old, the priest raised…, I knew him, he taught me catechism privately sometimes cause I whined about the nun to my Mom. He raised a Golden Chalice and looked up at this bleeding man named Jesus, suffering on a rough wooden cross. Once when he turned around, I remember seeing tears in his eyes. He was so careful and everybody was kneeling and so different then they were the rest of the time, and it smelled good. There was this vibrating energy. The Priest and the people, the Earth and the sky and the Indian, the girls, the Hells Angels, the music and sometimes what I would play on the guitar. It was all about being a man and it was for the beauty of it.